September 18, 2018, 5:00 p.m. 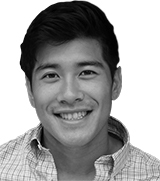 In the fight to stay current, many hotels are looking to enhance the guest experience. Data from a new YouGov Omnibus survey shows that while most Americans still favor traditional ways of interacting with the hospitality industry, younger travelers are redefining the hotel experience through their preference for technology and desire for cultural immersion. Most Americans prefer to engage with many hotel services in-person or through traditional means, rather than use a cellphone to do so. Except millennials. More than half of US adults who own a cellphone say they would prefer to gain entry to their hotel room (72%), access hotel appliances and utilities (71%), reach hotel staff for help (62%), check in and check out (60%), and order room service (57%) in-person or through traditional means. Americans younger than 35 express more interest in engaging hotel services with their phones. For example, 53% of millennials who own a cell phone say they would like to check in and out with their phones (vs. 40% of US adults who own a cell phone). 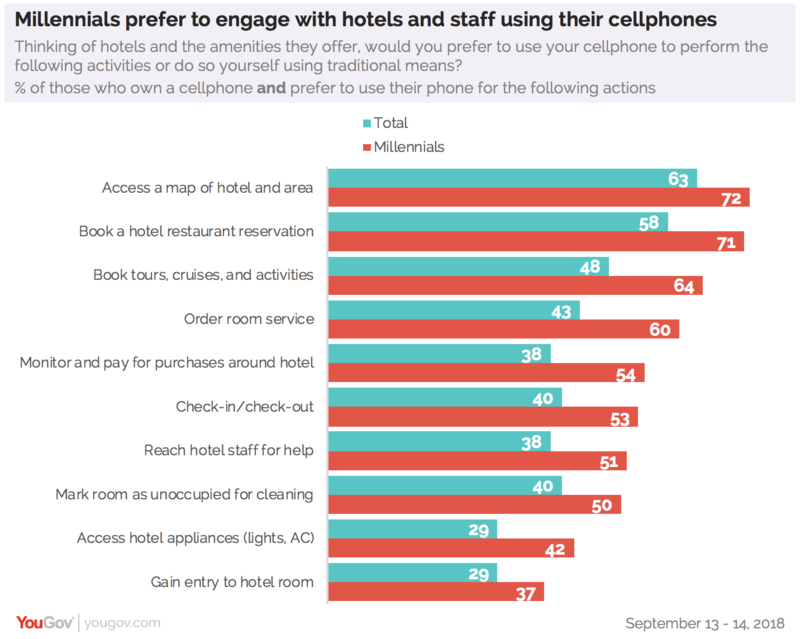 Younger Americans would also like to use their phones to order room service (60% vs. 43% of US adults who own a cellphone), mark a room as unoccupied for cleaning (50% vs. 40%), reach hotel staff for help (51% vs. 38%), as well as monitor and pay purchases around the hotel (54% vs. 38%). Americans do have some common ground on what they would like to be able to do with their phones. More than half would prefer to book a hotel restaurant reservation (58%) and access a map of the hotel and surrounding areas (63%) using their phone. At least one in two Americans would pay extra for flexible check-in/check-out times, paperless check-in, and certain luxury upgrades. Many hotels abide by a check-in at 3pm, check-out by noon policy but there is a demand, and a willingness to pay for, a more flexible schedule. Three-quarters (74%) of Americans say they would be ‘very interested’ or ‘somewhat interested’ in purchasing an upgrade for flexible check-in and check-out times. They also express a high level of interest in paying for paperless check-in (58%) and luxury amenities such as pillow and/or bed upgrades (57%) and access to a rain shower (53%). Not all upgrades are in-demand: interest in paying extra is lower for services like pet concierges (28%), book rentals from a hotel library (37%), and access to a digital, 24-hour concierge (47%). Americans are warm to the idea of a hotel marketplace – one that sells local art, souvenirs, produce, and tickets to nearby events. 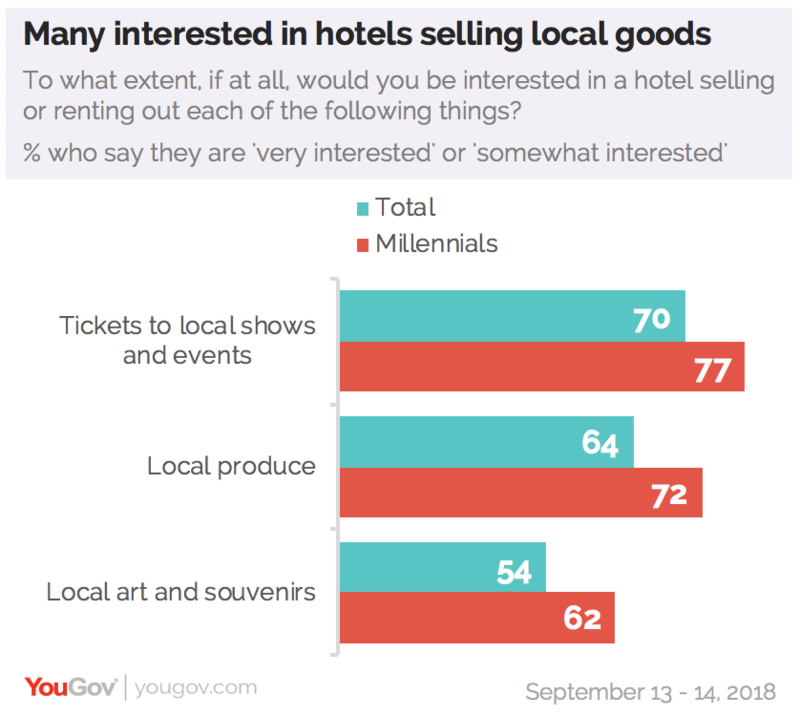 More than half of US adults say they would be ‘very interested’ or ‘somewhat interested’ if a hotel sold local art and souvenirs (54%), local produce (64%), and tickets to local shows (70%). This suggests that hotels should serve as more than just a place to stay; they should also facilitate cultural experiences. A majority would book an anonymous hotel and most name price as the strongest purchase motivator. Seven-in-ten Americans say they would book an anonymous hotel if it was offered at a discounted price. This figure is highest among 18- to 34-year-olds, 79% of whom say they would book a mystery hotel. Among the general population, 55% say they would book an anonymous hotel if the price was right, followed by 45% who say that the hotel’s rating, positive written reviews, and distance from the airport and/or activities (all tied) would affect their decision to book. Americans often verify prices and reviews against at least one other travel service or website. 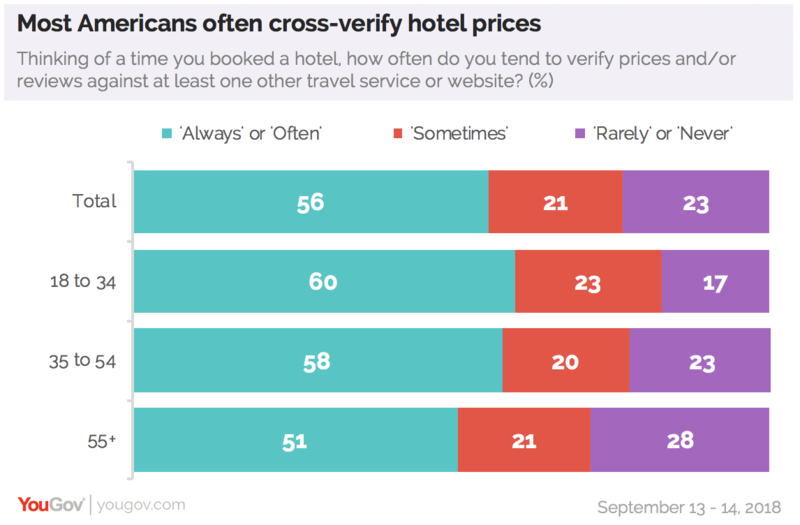 None more so than millennials, 60% of whom say they ‘always’ or ‘often’ cross-verify hotel prices (vs. 56% of US adults). Among adults aged 55 and over, 28% say they ‘rarely’ or ‘never’ check hotel prices against at least one other source.